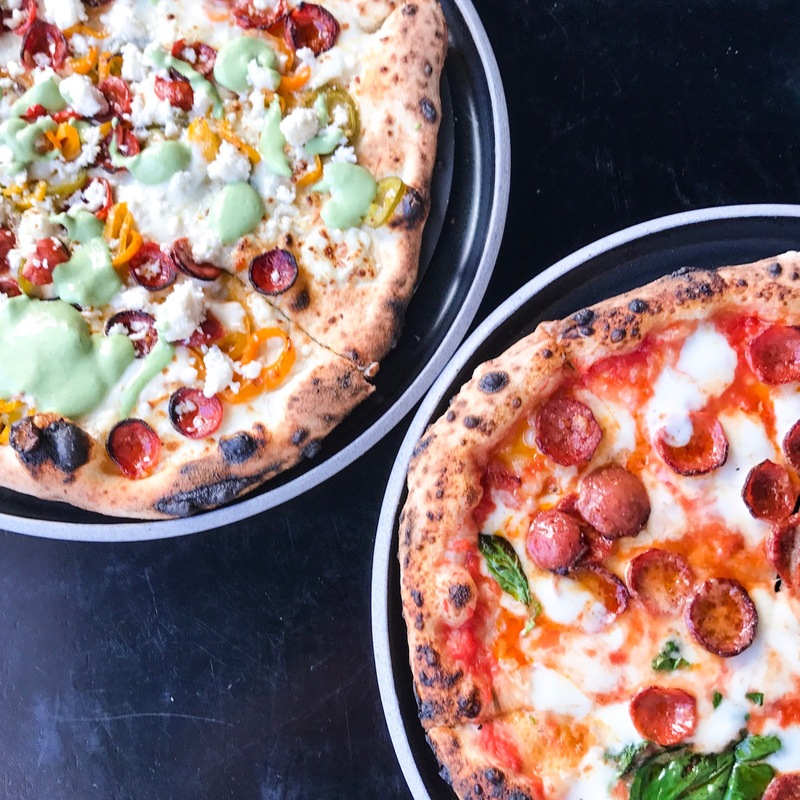 THE UNEMPLOYED EATER: The Westside's Best Pizza Now Available At Home. The Westside's Best Pizza Now Available At Home. Pizzana is really good. For their first (almost) year though it's been a little too difficult to consume their lovely pizza pies because the restaurant has been so darn busy and the reservations hotter tickets than Paul Simon at the Bowl (is that a cool reference?). So many have either braved the brutal weekend waits amongst the Brentwood beauties or just not indulged at all. Which is a damn shame because they make the best non-Mozza pizza in town. Our cries of desperation have finally been heard though as they recently hooked up with ChowNow to offer pick-up for all and delivery for the lucky proximal neighbors. You can order here. My recommended order: start with the garlicky as heck Cesare, then order 2-3 pies (Messicana and Pepperoni for sure, maybe plus a Neo Margherita or the super spicy Oglio Olio) and finish with Candace Nelson's signature dessert, Chocolate Olive Oil Cake. I promise it'll be much better than my Paul Simon at the Bowl metaphor.